Yesterday a crucial security flaw was discovered in the Gravity Forms Directory plugin and fixed immediately. Version 3.5.4.3 was released and takes care of the issue. __Please update immediately__. For the security of the users still running older versions, we can’t go into what the flaw was, but it had to do with viewing Gravity Form entries without permission, and was severe. The flaw was discovered by Baruch Moskovits. We released a patch within one hour of the discovery. Since Gravity Forms came out, it’s been transforming how WordPress can be used. It makes a contact form more than a contact form. It makes a contact form the basis for anything you can imagine. 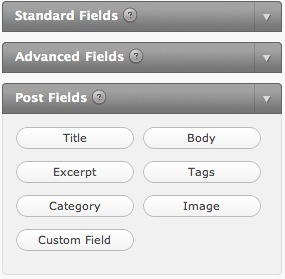 The Gravity Forms Addons plugin has added Directory capability to Gravity Forms. You can add a directory for any form using the directory shortcode. When you add the plugin, you’ll see a new button to the right of the Gravity Forms “Add Gravity Form” button. This pop-up has lots of configuration options. Click the “Show advanced settings” link for tons of configuration options. Gravity Forms is Great. Let’s Make it Better. I really enjoy the Gravity Forms plugin. It’s a great form generator seemingly based on making a Wufoo-style experience for a WordPress form plugin. It’s super-simple to use and set up, and I’ve set up my website request form using Gravity Forms.